Born to a wealthy and prestigious English Quaker family in 1866, Katherine rebelled against Victorian values, becoming one of the first female graduates of Oxford University and the first woman archaeologist to work in Polynesia. From 1913 to 1915, Katherine and her husband, Australian adventurer William Scoresby Routledge, led the Mana Expedition to Easter Island, where Katherine conducted the first ever excavations of the island’s world-famous stone statues. Katherine collected vast quantities of new information, and through interviews with dozens of elderly men and women, she was able to save the history of the island, whose population was struggling back from the brink of extinction. Without Katherine’s extraordinary efforts, Easter Island’s traditional beliefs and customs would have been forever lost. 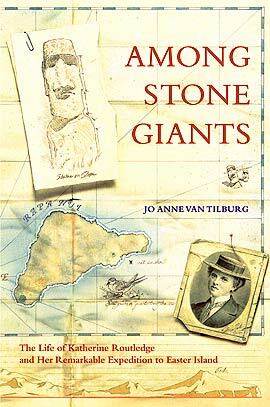 Many of Katherine’s papers were thought to be lost until they were discovered by Jo Anne Van Tilburg, the contemporary world’s leading authority on the Easter Island statues. 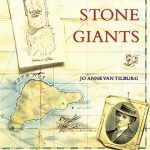 In this compelling biography, Dr. Van Tilburg brings her unique expertise to Katherine Routledge’s discoveries and to her turbulent life. The result is an exciting personal story, set against the drama of Katherine’s remarkable exploration of one of the most intriguing archaeological sites in the world.